A little over 7 years ago, I moved to Kodiak, Alaska where I began working at the Alutiiq Museum and Archaeological Repository. At the time, the museum was in the midst of a collaboration with the Château-Musée de Boulogne-sur-Mer in France for the project Giinaquq: Like a Face. I felt lucky to join the museum at such an exciting time, especially as it allowed me to use my native language (French) in the context of work (which has never happened since). My experience working at the Alutiiq Museum propelled me on my current trajectory and showed me how dynamic and committed to the community a museum could be. Among other things, I was extremely impressed by how the museum’s former Executive Director, Sven Haakanson, Jr., PhD, would relentlessly fight to ensure that members of the island community, especially Sugpiat, had access to local knowledge stored in museums near and far. Sven is now the Curator of Native American Anthropology at the Burke Museum in Seattle, Washington where he continues to pursue his commitment to build bridges between Kodiak community members and museums. Over the next month, we’ll feature a current project he’s been working on and is described below. 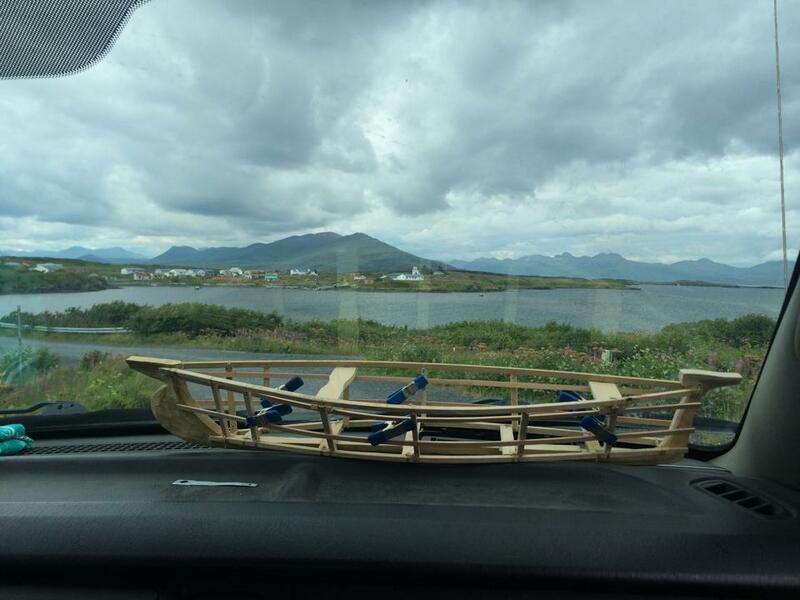 Over the last several years, Sven has been studying and documenting model angyat, open boats used by the Sugpiat of Kodiak, Alaska. To this day, there are only 10 known model angyaat stored in museums. No full-size version exists. Sven spoke passionately of how these boats demonstrate Sugpiat’s deep knowledge of the water and how to design vessels to travel through it efficiently. Given his commitment to “repatriate knowledge”, Sven’s been using the Burke Museum’s model angyaat to create an accurate reproduction he can use for teaching. 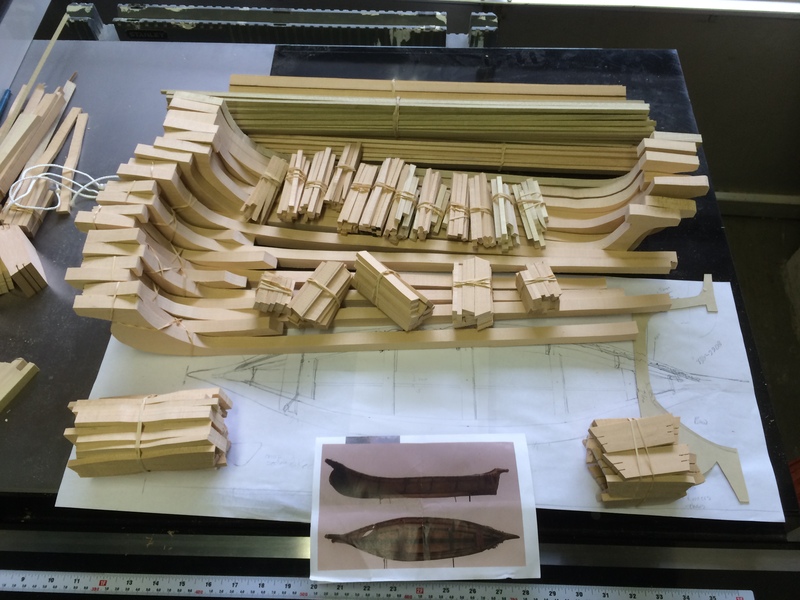 In addition to this reproduction, he’s created 14 kits containing all the necessary parts to build model angyaat that he’s bringing with him to this week’s Cape Alitak Family Camp on Kodiak Island. Angiaaq kits, sketch, and model. Photo credit: Sven Haakanson. The idea of repatriating knowledge is rooted in the concern that scholarly work doesn’t typically make it back to the community. As Sven explained, it is imperative that the knowledge stored in museums makes it back to the “living context” so that it isn’t lost. In his words: “we need to take the glass away” to rightfully show that collections aren’t static, but are relevant and part of a dynamic, living cultural context. Of course, this idea of taking the glass away is just as metaphorical as it can be literal. While the original model angiaaq sits safely at the Burke, Sven’s reproduction, which can be taken apart then rebuilt for teaching purposes, has transcended the glass case. Model angiaaq arriving in Kodiak, Alaska. Photo credit: Sven Haakanson. In the next blogpost, we’ll receive a field update from Sven about how the project is panning out…Stay tuned! I totally agree with Dr. Haakanson’s statement about returning museum collections to a ‘living context’. I think it is the goal of all museums to share their collections with the communities they document and it’s great to see an example of that being done in a meaningful way. With many museums facing dwindling staff resources and time it’s great to have that additional motivation to think through the problem creatively and find ways to reach the communities we serve.